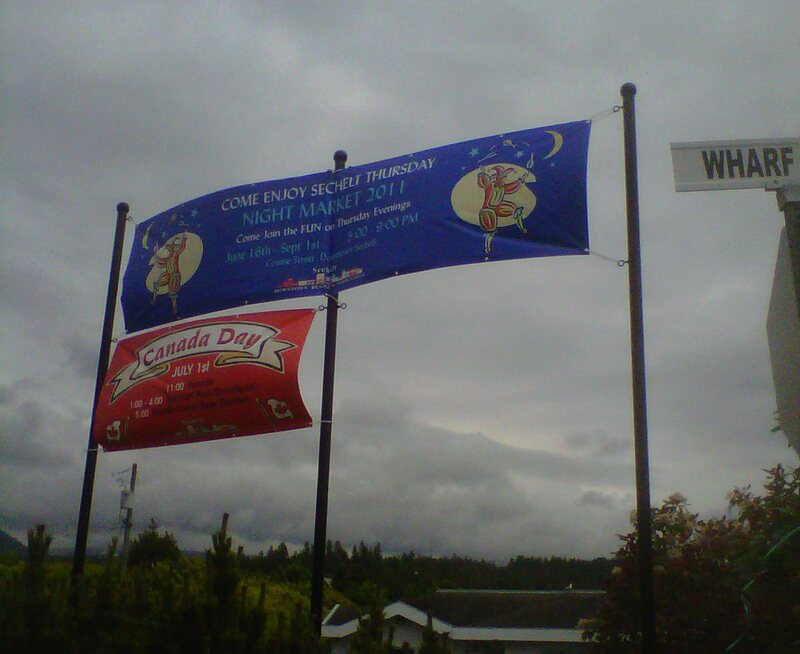 The District of Sechelt has installed banner posts as part of the Downtown Revitalization program, located at the corner of Teredo Street and Wharf Road and in Wilson Creek, they are now available for banners announcing community events. 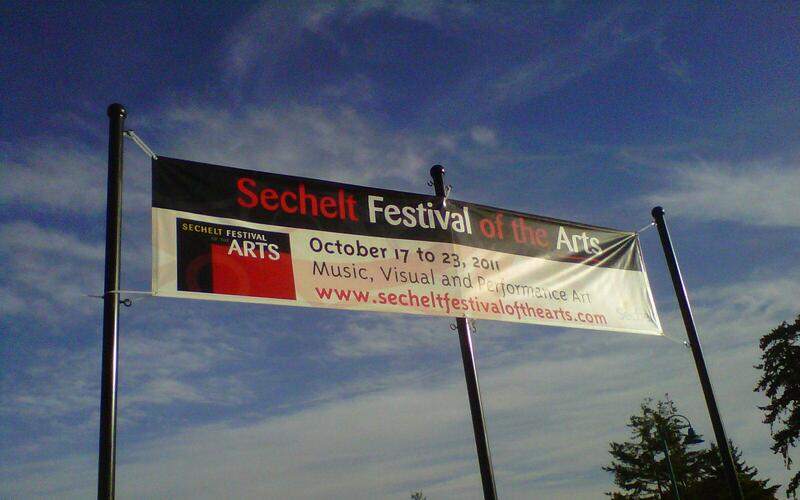 The banner posts are primarily available for community events and fundraising events by non-profit organizations. Other events may also be considered depending on availability of unused time slots. The banners must be provided by the interested group. Installation and removal will be the responsibility of the District. Please note that the District will no longer allow signs to be put up in Acacia Park. To make an application, please contact the Administrative Assistant for the Parks Department, Michaela Sugars at 604.740.8477, msugars@sechelt.ca or download the Application. Banners can be posted for a 7 days or a 14 day period, depending on availability. For events that are taking place within a week from each other, District staff, at any time, may limit the display time to 7 days up to the event to allow other events to have “airtime” as well. Banners message must be essentially non-commercial, however, corporate sponsors logos may form part of the message, but shall not exceed 10% of the banner area. The goal is not to serve whoever comes first, but to make maximum use of the banner poles for as many events as possible. If there are two applications for events taking place on the same day, District staff may limit the available slots.